Designed to allow access to the ABS and Power Steering systems on supported vehicles. This adapter has a green connector on one end for easy identification. 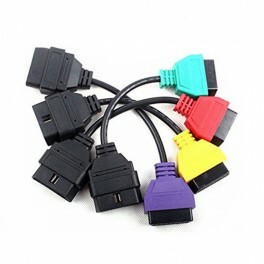 Using this adapter, Pin 7 on the diagnostic tool is connected to Pins 1,7,9 & 12 on the car. Designed to allow access to the Airbag system on supported vehicles. This adapter has a red connector on one end for easy identification. Using this adapter, Pin 7 on the diagnostic tool is connected to pin 3 only pn the car. Designed to allow access to the low-speed CAN system on supported vehicles. This adapter has a yellow connector on one end for easy identification. Respectively on the car, Pin 7 on the diagnostic tool is connected to pin 12 on the car. Designed to allow access to the electric hood system on supported vehicles. This adapter has a purple connector on the end for easy identification. 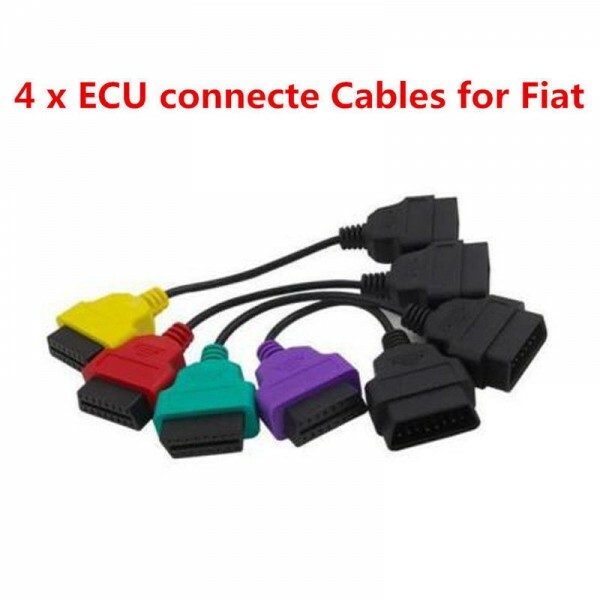 Using this adapter, Pin 7 on the diagnostic tool is connected to pins 7,8,11 & 13 one the car.